Because this site is under a remodel and many of the Books and Gifts links are no longer available, we will be working on setting up new vendors and agreements to bring you a great offering of patriotic gifts. Please bear with us as we work to make this happen. Thanks for visiting our Patriotic Books and Gifts section. 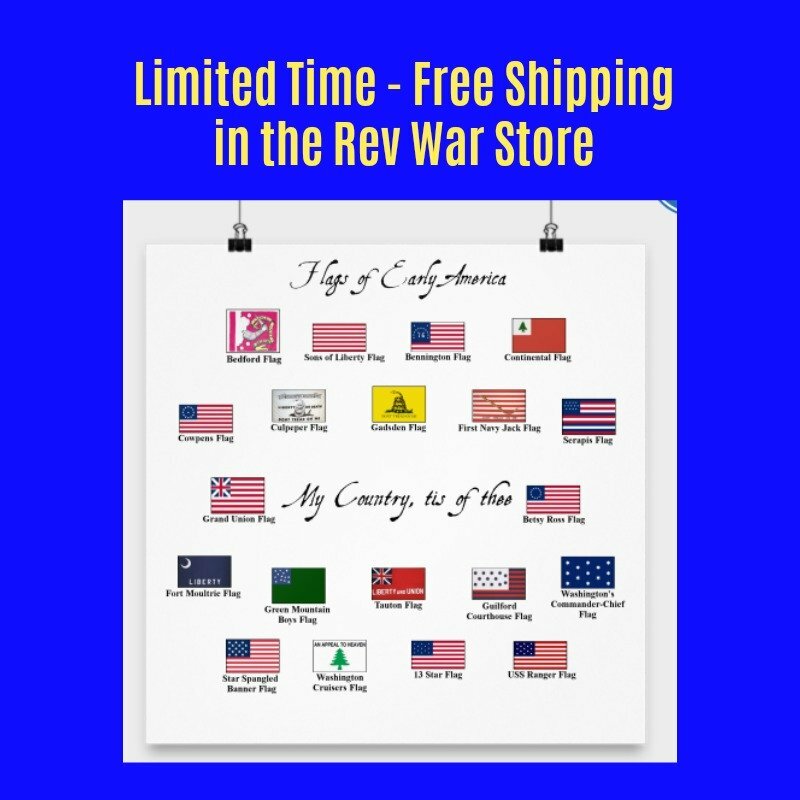 Revolutionary War and Beyond has partnered together with some of the best online retailers to bring you the best patriotic gifts. You can find a great selection of Patriotic jewelry, as well as books about George Washington, Benjamin Franklin and other Founding Fathers. The Prayer at Valley Forge by Arnold Friberg is a painting that has inspired many Americans. Check out our Revolutionary War Chess Set and Opus Americana, a commemorative book made by a United States Marine. These and other Patriotic Books and Gifts are sure to inspire and you help you express your patriotic spirit. Own your own copy of the classic painting The Prayer at Valley Forge by Arnold Friberg. 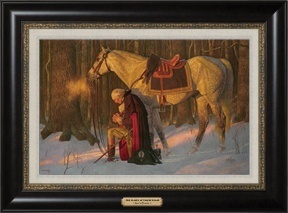 This painting shows George Washington praying at Valley Forge during America's greatest hour of need. Learn more about how to own your own copy of The Prayer at Valley Forge here. 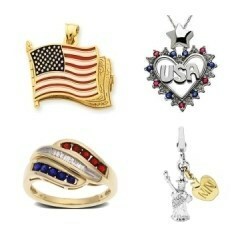 We have a wide variety of Patriotic Jewelry to choose from. Patriotic rings, patriotic necklaces, patriotic earrings... red, white and blue jewelry of all kinds. We have partnered with several reputable online jewelers to bring you the best in patriotic jewelry that can be found today. You will enjoy showing off your patriotic pride wearing these exclusive pieces, many which will become heirlooms to be passed on through the years. Browse through our selection of Patriotic Jewelry here. 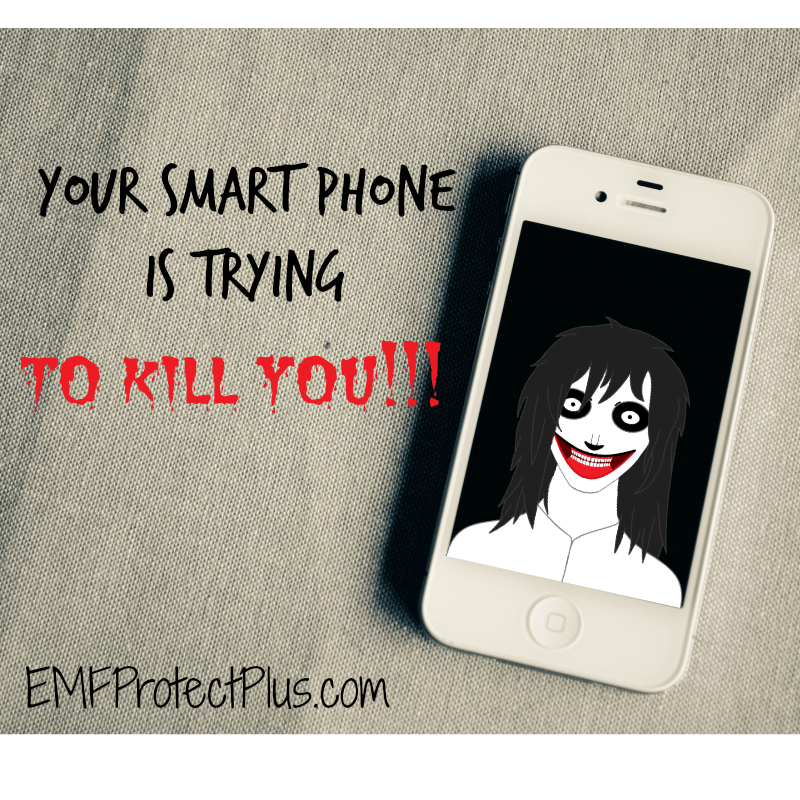 Your rights as an American are in serious jeopardy today. 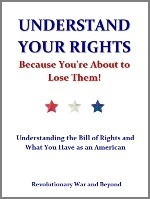 "Understand Your Rights Because You're About to Lose Them" explains the rights guaranteed to you by the US Constitution in the Bill of Rights - the first ten amendments to the Constitution. Revolutionary War and Beyond's first book delves into the history and purpose of each amendment and show you what you must do to protect these rights in the future. Learn more about Understand Your Rights here. 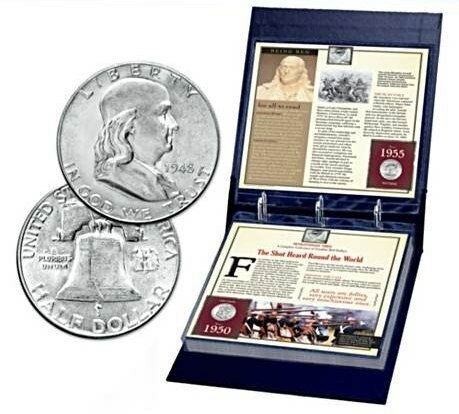 In our Patriotic Coins section, you will find a wide collection of historical coins and unique presentations of the coins, such as the "USS Constitution Commemorative Set," featuring an authentic "Flowing Hair Dollar," the first coin ever printed by the United States government in 1794-1795. Other unique items include a State Quarters Checkerboard, Authentic Voucher paid to a Revolutionary War era soldier and the Complete Ben Franklin Half Dollar collection, among many others. View our Patriotic Coins here. One of our most unique Patriotic books and gifts is the American Patriot's Bible, which is a New King James Version Bible featuring quotes and stories of George Washington, Thomas Jefferson, James Madison, Benjamin Franklin and many other Founding Fathers, showing how the Bible influenced the founding and development of the United States of America. 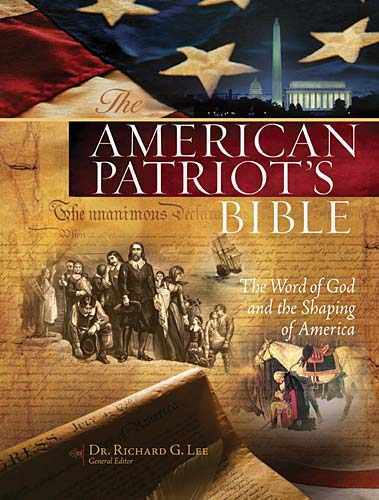 Find out more about The American Patriot's Bible here. 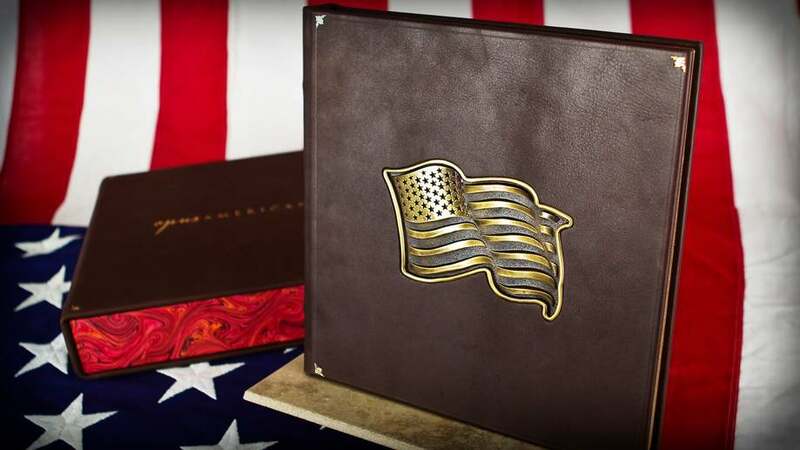 Opus Americana is a magnificent heirloom patriotic book created by a United States Marine Veteran to commemorate the Founding Fathers of the United States of America and the Founding Documents they created. Get 10% off this one of a kind masterpiece when you order with our special promo code. Learn more about Opus Americana here. A Revolutionary War Chess Set makes the perfect gift for the American history enthusiast. Handpainted and uniquely by the House of Staunton, one of the world's premiere creators of novelty chess sets. 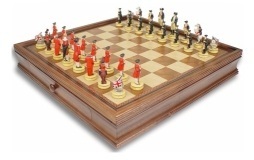 Learn how to get your own Revolutionary War Chess Set here. If you like studying the Revolutionary War and American History, you will like American History magazine, the best American History magazine available. American History magazine covers the American Revolution, as well as other periods of American history. Read about American History magazine here. Find George Washington books, gifts and merchandise. George Washington biography, Martha Washington biography, George Washington pictures, George Washington Dollar Coin, George Washington for kids, George Washington costume. Go to Revolutionary War and Beyond's George Washington Book and Gift Store. Find Benjamin Franklin books, gifts and merchandise. Benjamin Franklin biography, Pictures of Benjamin Franklin, Benjamin Franklin costume, Autobiography of Benjamin Franklin, Benjamin Franklin for kids, Benjamin Franklin quotes. Go to Revolutionary War and Beyond's Benjamin Franklin Book and Gift Store. Find Thomas Jefferson books, gifts and merchandise. Thomas Jefferson biography, Pictures of Thomas Jefferson, Thomas Jefferson Dollar Coins, Martha Jefferson biography, Thomas Jefferson movies, Thomas Jefferson for kids. Go to Revolutionary War and Beyond's Thomas Jefferson Book and Gift Store. Find John Adams books, gifts and merchandise. John Adams biography, Abigail Adams biography, Picture of John Adams, John Adams HBO mini-series, John Adams by David McCullough, John Adams for kids, John Adams quotes. Go to Revolutionary War and Beyond's John Adams Book and Gift Store. This Founding Fathers store has John Hancock books, Thomas Paine books, Samuel Adams books, Paul Revere books and John Paul Jones books. You will also find lesser known Founders such as Aaron Burr, Elbridge Gerry, Nathan Hale, John Witherspoon, Josiah Bartlett, Robert Treat Paine, Roger Sherman, Samuel Chase, Samuel Huntington, Edmund Randolph and Benjamin Rush. Go to Founding Fathers Books and Gifts Store Page 1. 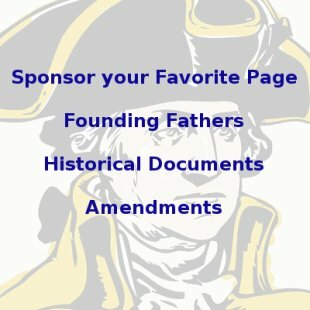 This Founding Fathers store has John Jay books, George Mason books, Patrick Henry books, Gouverneur Morris books, James Wilson, Caesar Rodney books and John Dickinson books. There are also books about lesser known Founders such as George Wythe, Richard Henry Lee, Francis Hopkinson, Abraham Clark, Charles Cotesworth Pinckney, William Few, Abraham Baldwin, John Langdon, William Livingston and James McHenry. Go to Founding Fathers Books and Gifts Store Page 2. Find Revolutionary War Battles books. Battle of Bunker Hill books, Battle of Trenton books, Battle of Yorktown books, Battle of Saratoga books, Battle of Lexington books, Battle of Quebec books, Battles of Lexington and Concord books, Battle of Brandywine books, Battle of Princeton books and more. Go to Revolutionary War and Beyond's Revolutionary War Battles Bookstore.